We thank you for all you help, care and affection given during his recovery from knee surgery. We appreciate all your help. Helping you to a speedy recovery. Almost every day we receive warm wonderful letters of thanks from former patients, their families and friends telling us about their recovery and being able to return to their home confident in being able to care for themselves. In a recent survey, more than 95% of patients said they would recommend our facility to family and friends. Throughout this website you will find some of their testimonials. 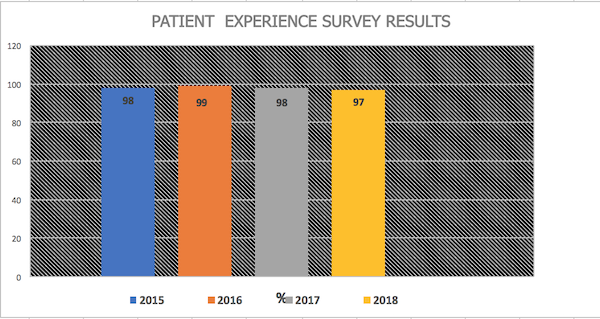 Over the years the level of patient satisfaction has remained high. 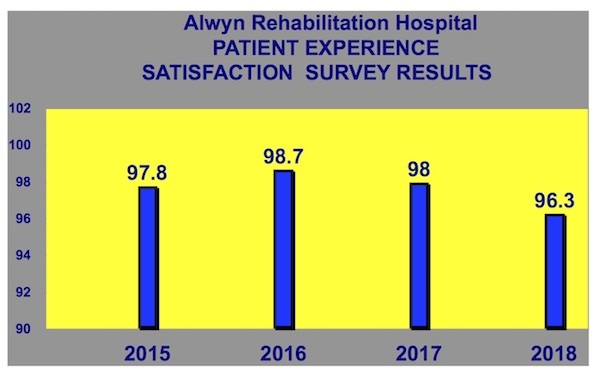 In a recent survey* which followed up discharged patients, 96.3% indicated they were satisfied with the care and education provided at Alwyn. All were coping well at home and the majority returned to their previous level of management.